The greater egyptian jerboa is a rodent of the Dipodidae family living in desert areas and in a burrow. 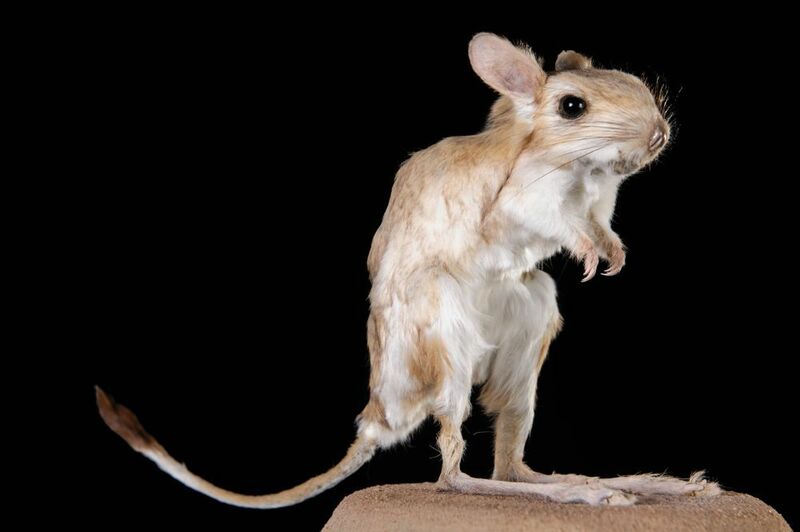 The jerboa lives from 4 to 5 years, and feeds on seeds, insects and plants. This is an animal that comes out at night to escape the heat and predators. 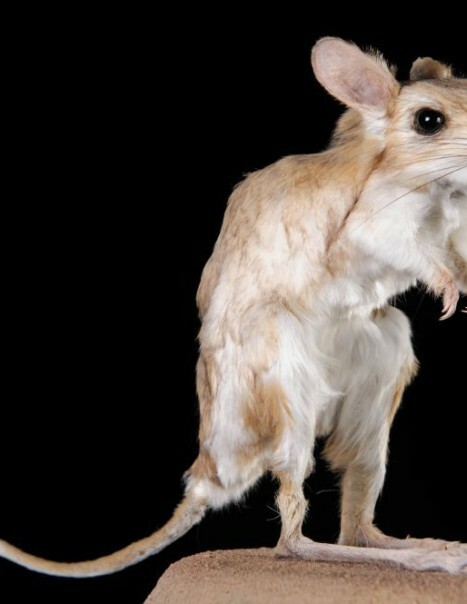 It looks like a mouse with a long tail and long legs with 3 or 5 fingers. 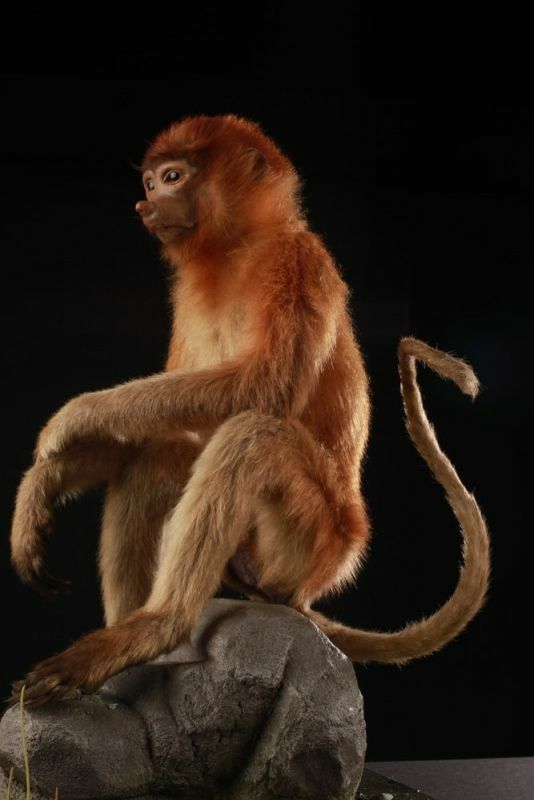 They can jump 3 meters high and travel long distances.